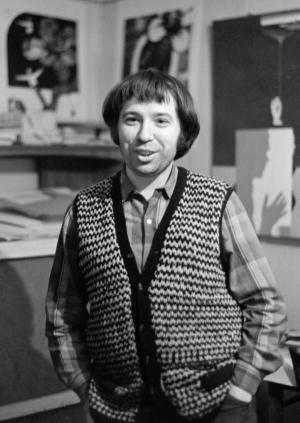 Victor Pivovarov is one of the founders of Moscow Conceptualism. 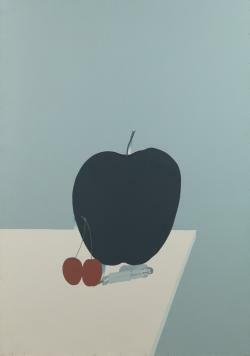 Following his friend and peer Ilya Kabakov, he discovered the album genre, which combines image and text. Since 1975, he has produced more than thirty albums. 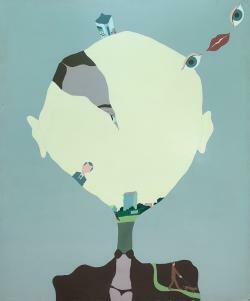 In the early 1970s, he created a series of painting with industrial enamel under the influence of posters produced by railway authorities, in which he saw absurdity and surrealism. 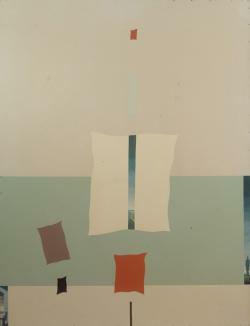 Pivovarov works on thematically related conceptual cycles and series of pictures. 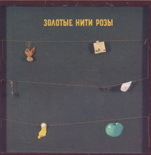 For example, “Projects for a Lonely Man” (1975), “Seven Conversations” (1976), “Diary of an Adolescent” (1988), and “Apartment 22.”Unlike the other artists of his circle, Pivovarov does not address social issues, for his works are a poetical dialogue with other artists, poets, writers he illustrates. Many cycles are infused with autobiographical and Surrealistic elements, dreams, and Dadaist absurdity, imbued with irony and the self-irony of mystification. Victor Pivovarov was born in 1937 in Moscow. He studied at the Kalinin Industrial Art School (1951– 1957) and graduated as a book illustrator and designer from Moscow Polygraphic Institute (1957–1962). Fo several years he worked as an illustrator, primarily of children’s books. He gained a reputation as one of the best children’s illustrators, and designed the magazines Veselye Kartinki and Murzilka, which had subscriptions in the millions. He began working in easel drawing in 1967 and easel painting in 1980. Pivovarov’s studio was not far from Kabakov’s on Sretensky Boulevard, and the two artists were friends. At this area of Central Moscow were the studios of other artists like Erik Bulatov and Oleg Vassiliev, Ulo Sooster, Ernst Neizvestny, Vladimir Yankilevsky, and Yuri Sobolev-Nolev. All these artists met frequently and discussed their works. This allowed some researchers to introduce the concept of the “Sretensky Boulevard Group” that led to the formation of the Moscow Conceptualist School. In 1982, Pivovarov emigrated to Prague, where he now lives. He has written books about the art of the 1960s — 1980s in Moscow: “Agent in Love” and “Gray Notebooks.” The first major retrospective of Pivovarov was held at the Tretyakov Gallery in Moscow in 2004, followed by one at the State Russian Museum in St. Petersburg. His works are in the collections of the Tretyakov Gallery, the State Pushkin Museum in Moscow, and the Russian Museum in St. Petersburg.